The above number represents a personal best for TNA Wrestling, and it’s a number that, if WWE were to match that number, would result in Vince McMahon bringing a Thompson machine gun to the next WWE creative meeting. 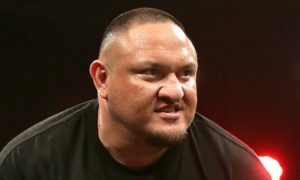 60,000 is the approximate number of buys for TNA Genesis 2006, an event that was headlined by Samoa Joe, then unpinned in TNA, against Kurt Angle, making his pay-per-view in-ring debut. WWE, at their peak, would routinely see their PPV’s climb into the upper six figures in terms of buys. In recent years, reaching 200,000 buys for anything outside of WrestleMania, Royal Rumble, and Summerslam can be a challenge, but the company is still far and away making bank. Besides, those 60,000 buys were nearly five years ago for Total Non-Stop Action. Since then, Sacrifice and Slammiversary from one year ago are believed to have garnered a paltry 8,000 buys apiece. Of course, it’s for good reasons that TNA buyrates have dropped off like that dreadful “I’m With Coco” campaign. Among those reasons are heavy focus on stars of fifteen years ago (Hulk Hogan, Sting, Ric Flair, Eric Bischoff), inconsistent and confusing TV angles, the staleness of the Impact Zone, unproven talents that are still green (Crimson, Rob Terry, Anarquia, Gunner, among others), and a lack of control over talents that are supposed to be strong representatives for the company (Flair, The Hardy Boyz, Kurt Angle). Because of these infractions against sound business, it’s been hard for the most vocal of wrestling fans to defend TNA, let alone summon the will to consistently watch the programming, let alone buy the pay-per-views. The vocal fans have been labeled by Eric Bischoff as “ten percenters”, an allegedly small fraction of wrestling fans that are largely irrelevant, save for an apparent ability to overthink and overrate matches and angles, while heaping nothing but negativity on the product that he helps provide. What do these naysayers, the ones that are quick to rip on TNA, want? If you asked them, they’d tell you that they want more in-ring wrestling, more exciting athletes, and an emphasis more on what happens in those matches, as opposed to some backstage vignette, shot by nausea-inducing cameras in what is allegedly HD. And that brings us to a rather interesting ultimatum. Fans have resisted TNA due to a lack of said in-ring wrestling, as well as the desires of TNA’s braintrust (there’s an oxymoron) to feature uninteresting and clumsy heavyweights and aging has-beens, as opposed to dynamic high flyers, crisp technicians, and all-around exciting performers. On Sunday, July 10, there will be no excuses from either side of the stalemate. TNA will present Destination X, a pay per view dedicated entirely to the X Division and its groundbreaking, innovative style. The X Division is what helped set TNA apart from WWE, particularly in its formative years, since Vince McMahon de-emphasizes smaller, faster workers in favor of his apparent vice, the muscle-headed brutes. TNA de-emphasized the X Division as time went by, in a sad attempt to copy WWE’s style, and it was to the chagrin of “wrestling fans”. But on July 10, TNA is extending an olive branch to fans who are not only tired of Total Non-Stop Action reneging on their “We Are Wrestling” campaign, but also fans who are sick of WWE shoving John Cena and Randy Orton down their throats at uvula-tearing speeds. You want wrestling? How about Samoa Joe vs. Kazarian? These two went up and down the highways of the California indy scene together (oddly enough, as friends and traveling buddies of a young John Cena), and have both left a considerable mark in TNA during their lengthy tenures. Joe, at one time, looked to be the modern day Vader with a martial arts bent to his style, while Kazarian was packaged as Antonio Banderas, with an MBA in advanced gymnastics. The two well shed all pretenses of TNA’s dreadful writing, and will look to rekindle their classic indy style for a night. How about a four way match between unsigned talents in which the winner gets a contract? Multi-time X Division Champion Low Ki (fresh off escaping WWE in December) takes on two time ROH Champion Austin Aries, the gravity-defying Eminem wannabe Jack Evans, and the obscure, but well traveled, standout Zema Ion will compete in what promises to be a car crash of a spotfest. Speaking of that X Division title, it will be up for grabs, as unlikely champion Abyss (a hard worker, in spite of some bad creative decisions) takes on sentimental favorite Brian Kendrick. Sounds like a mismatch on paper, but who knows? If they feed off the crowd (who will surely be pulling for “Spanky”), this can really be something special. In terms of the two big matches of the night, one of them features best friends and classic rivals clashing once more. 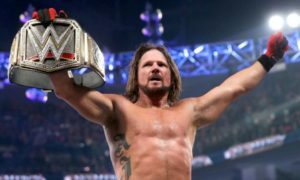 “The Phenomenal” AJ Styles, the face of TNA who’s spent nine loyal years wearing company colors, will do aerial battle with “The Fallen Angel” Christopher Daniels, and off-and-on mainstay. The duo have faced off in a pair of tremendous thirty-minute iron man matches, and were a part of TNA’s greatest match ever, a triple threat match with Samoa Joe at Unbreakable 2005, so expectations are high. But given the talent involved, it’s unlikely that their performance will disappoint on Sunday. And speaking of blasts from the past, ECW diehards, listen up. Rounding out this promising evening is the first one on one match in a decade between two men that lit ECW ablaze in 1999 with their cat-and-mouse showdowns. “The Whole F’N Show” Rob Van Dam looks to give it one more go against his rival, “The New F’N Show” Jerry Lynn. While both men are now certainly older, 40 and 48 respectively, both are still in great shape, and the promise of having one more chance to steal the show together will likely motivate these two pros into trying to do so once more. Let’s say TNA gets its greatest buyrate ever. Let’s say there are, hypothetically speaking, 100,000 buys for Destination X, and there’s no Hogan, Sting, Bischoff, Flair, Scott Steiner, or Jeff Jarrett to take credit for it. Instead, let’s say that the underappreciated “wrestlers” are the ones that made fans plop down $35 a pop to watch the show. Chances are, the Carter family’s going to wonder why they spent so long listening to The Hulkster, Easy E, Double J, and Vinnie Ru, and will instead embark on a different direction, one that, you know, makes money. And what about Vince McMahon? Surely seeing TNA crack six figures on buys would make him think “Hmm, maybe fans WOULD prefer to see this exciting style”. After all, it’s not like WWE buyrates are anything special right now. A victory for TNA could mean victory tomorrow for Sin Cara, Evan Bourne, Tyson Kidd, Daniel Bryan, and others. And besides, wouldn’t this be a nice “stick it” to Eric Bischoff? To have the highest bought PPV of his TNA tenure be one that he wasn’t even on, or promoted for? This Sunday, give TNA one last chance. Speak with your wallets and your desire. Let them know that THIS, not the pseudo-WCW direction, is the way to go. Let’s show Eric Bischoff just how big ten percent really is.